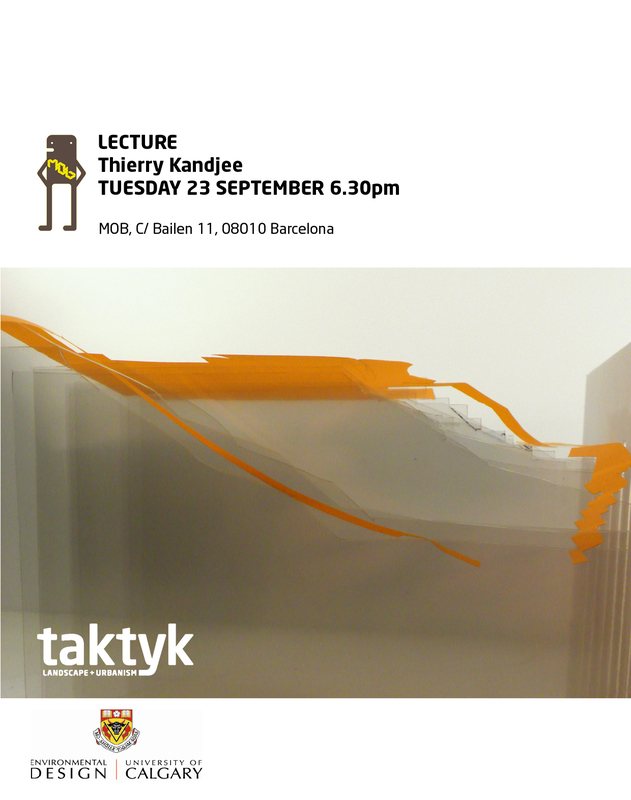 The inaugural lecture of the University of Calgary’s Barcelona Program is by Thierry Kandjee of Taktyk Landscape + Urbanism, based in Paris and Brussels. Thierry Kandjee, (1973), is a landscape architect, lecturer, editor and state adviser In Brussels. The practice operates as a critical and operational platform that question the future of the metropolitan open spaces. Within it Thierry Kandjee acts as a gardener to develop a holistic approach of landscapes, an orchestrator or an enabler of their complex transformation processes. His research investigates the notion of landscape skeletons as the construction of socio spatial and geopolitical frameworks.